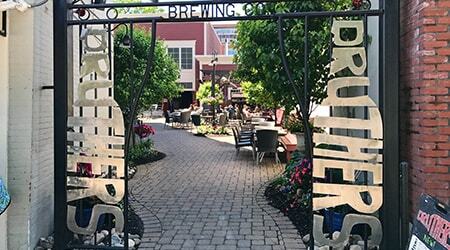 There is so much to do and explore in Saratoga Springs. We’re best known for our historic race track, but our city boasts an impressive array of restaurants, bars, unique shops, museums, parks and performing arts venues. There is so much to do in our small city! Step out our front door and you are in the middle of downtown Saratoga Springs. 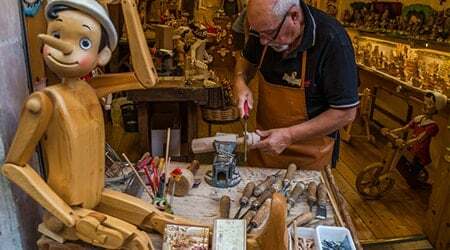 Whether you’re off to a fantastic new restaurant, to experience a day of thoroughbred horse racing at the Saratoga Race Course, to take an Adirondack hike in the crisp fall air or to enjoy a summer evening on Saratoga Lake, there is no shortage of things to do in Saratoga Springs. Though our city’s tagline is the “summer place to be,” there is no bad season to visit Saratoga Springs. With abundant packages options and unprecedented access to all the best things to do that Saratoga Springs has to offer, book your Saratoga Arms stay and we’ll take it from there. 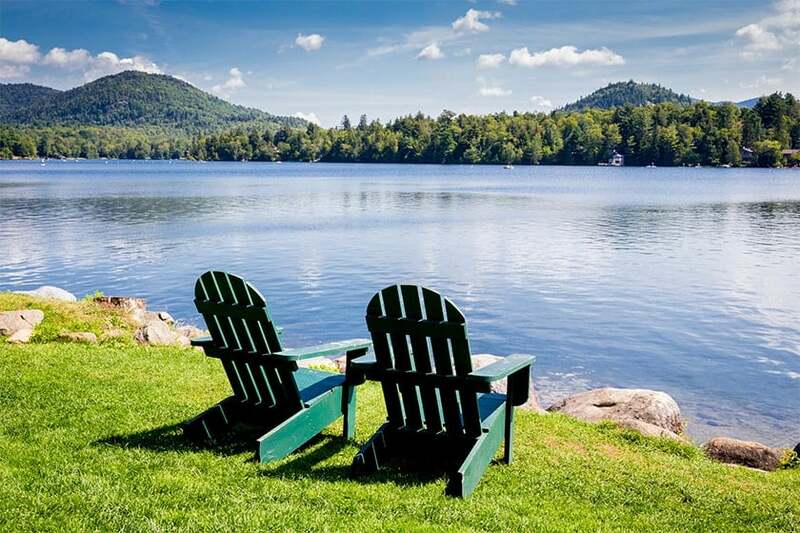 Our concierge team will help you plan the perfect upstate New York getaway. 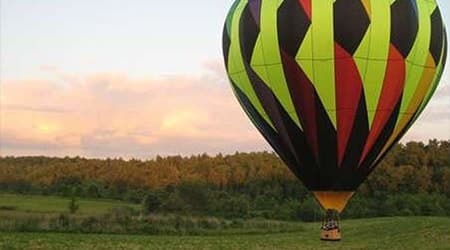 There are plenty of passions to pursue in Saratoga Springs. We invite you to step outside of your comfort zone and explore new activities while you’re here. You might just find that discovering a new pursuit is an adventure in and of itself! With so much to do and see, we created eight (8) categories to help you narrow your search. 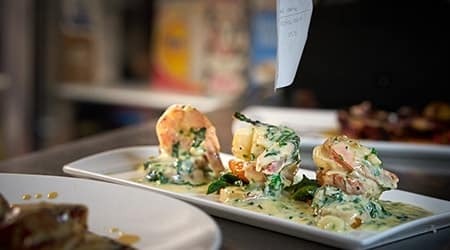 Here is the list of our favorite restaurants (broken down by lunch, dinner and cocktails), the most luxurious spas in the Spa City, the list of local and national museums within the city limits, our most celebrated performing arts venues, a variety of options to enjoy our city’s horse culture, the many ways to enjoy the outdoors in every season, our favorite local shops and our award-winning area golf courses. 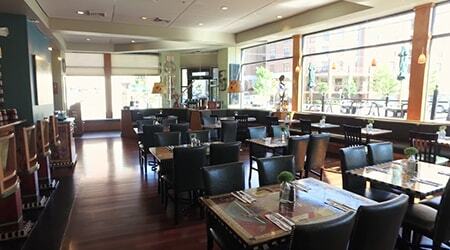 Saratoga Springs has many exceptional, independently owned restaurants. With cuisine and formality to suit every taste, you’re sure to find many different restaurants to try during your stay. 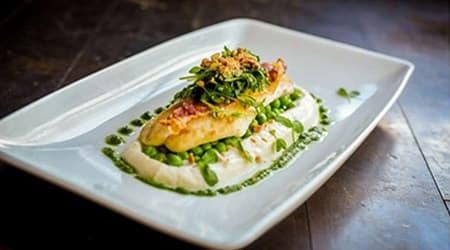 To help you make the best choice, we’ve broken our list into dinner favorites, lunch favorites and great establishments for cocktails. 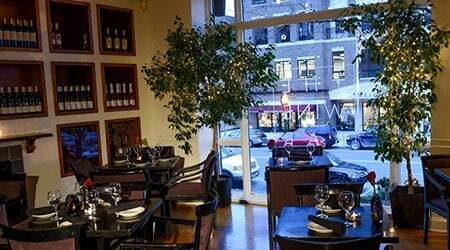 Chianti il Ristorante is a fine dining Northern Italian restaurant with an impressive wine list. This modern, metallic atmosphere is popular for date nights. 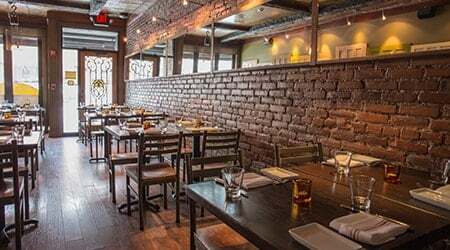 Forno Bistro is a rustic Italian restaurant with wood walls, iron metal accents and a menu featuring hearty pasta and wood-fired pizza. 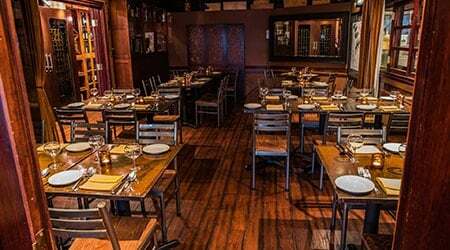 Boca Bistro is a Spanish tapas restaurant that also serves generous portions of paella in a rustic setting. 15 Church serves modern American cuisine in your choice of two dining rooms: the elegant inside and the casually elegant patio. 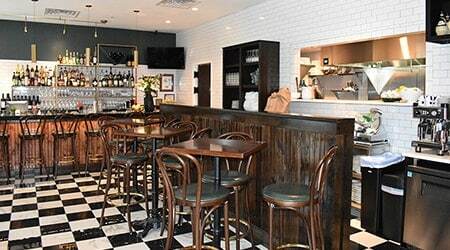 Osteria Danny is a small, intimate restaurant where you’re sure to make new friends each time you dine. 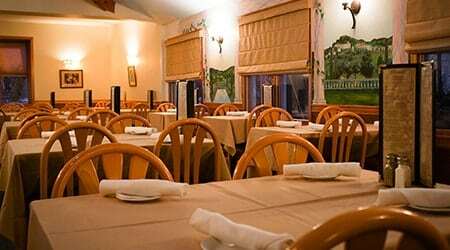 They serve fresh, uncomplicated Italian food with a heavy focus on their nightly specials. 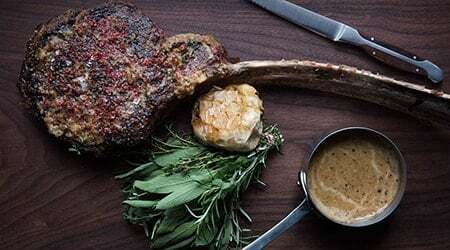 Prime at Saratoga National is a modern American steakhouse in the clubhouse of Saratoga’s most exclusive golf course. Salt & Char is a sophisticated steakhouse in the center of downtown serving 10 cuts of steak from flat iron to a dry aged porterhouse. 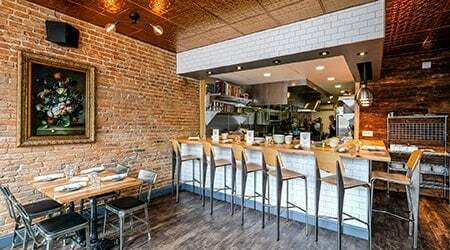 Solevo Kitchen + Social serves old school, southern Italian cuisine. This is your quintessential downstate red sauce joint with scratch cooking and classic cocktails. 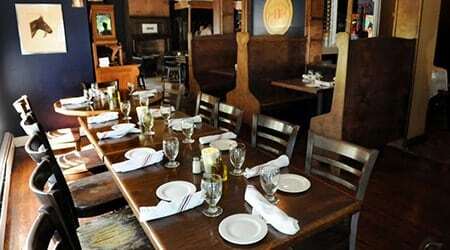 The Brook Tavern serves quality tavern food in a comfortable, neighborhood atmosphere. 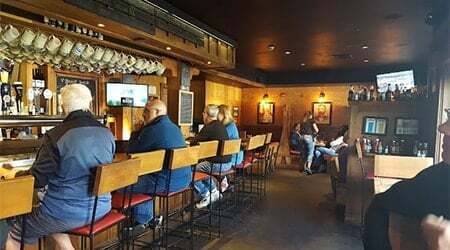 R&R Kitchen and Bar is two restaurants in one building: creative casual bar food on the first floor and a fine dining restaurant on the second floor. 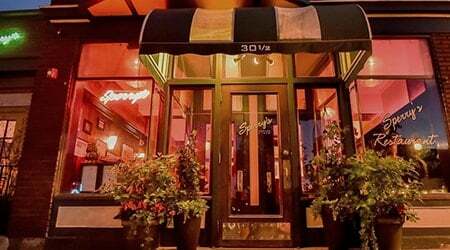 Sperry’s is a Saratoga classic in business since 1932. 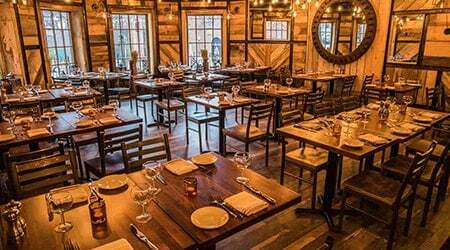 Serving continental American cuisine, this restaurant is a Saratoga institution. Wishing Well has been in business since 1936. 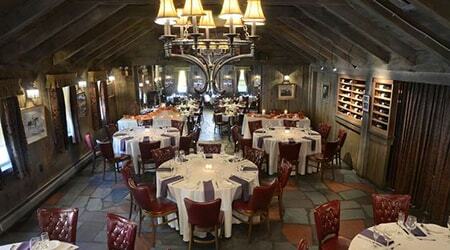 Their continental American menu is served in four distinct dining rooms with fieldstone fireplaces. Pennell’s is a step back in time. Enjoy a classic American Italian meal or the rumored “best steak in Saratoga.” Pennell’s has been in business for 95 years! Scallions serves fresh gourmet salads, sandwiches and soups with many vegetarian and gluten free options in their bright and airy dining room. Druthers is a gastropub that brews all of their own beer in house. Their creative pub menu is a local favorite. The Local Pub and Teahouse is an English/Irish pub and teahouse tucked in a residential neighborhood. With a roaring fireplace and lots of warm wood, this is a cozy place for a warm meal. 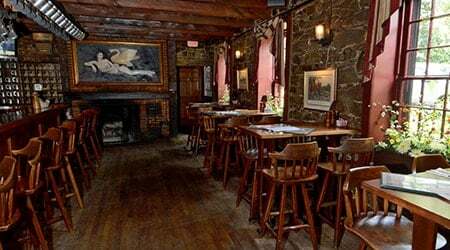 Olde Bryan Inn serves comfort food in a 1773 stone inn with original fieldstone fireplaces throughout. Small dining rooms create a quiet and intimate dining experience. 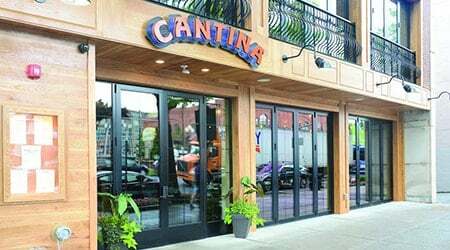 Cantina serves fresh, contemporary Mexican right on Broadway. 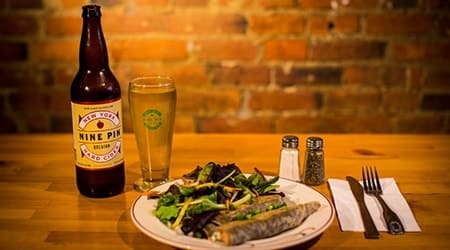 Ravenous is a French-style, sweet and savory creperie that serves New York state beer and wine. 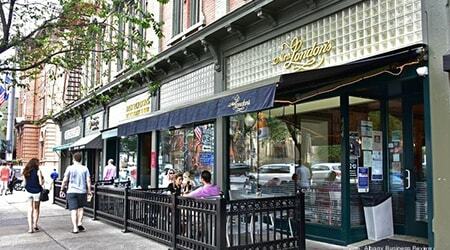 Mrs. London’s is a classic French bakery that has a wonderful selection of sweet treats in addition to a cold and grilled sandwich, quiche, salad and soup menu. 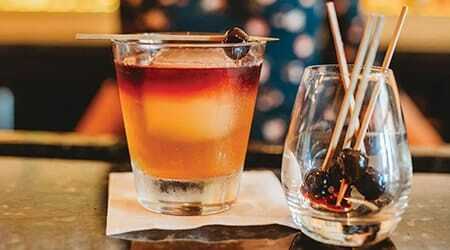 Hamlet & Ghost mixes up craft cocktails in a speakeasy style establishment. Saratoga Winery is a short drive outside of the downtown center. 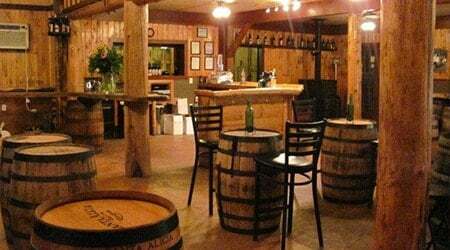 This rustic-style winery features wine made with New York grapes and wood-fired pizza Thursday through Sunday. 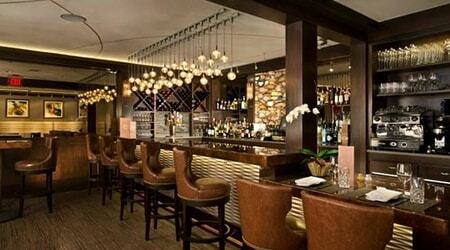 Wine Bar serves over 50 wines by the glass. There is also an indoor humidor cigar lounge. Their small plates menu is served on the lowel level. This dark and cozy jazz bar has 40 seats and the largest single malt scotch selection between NYC and Montreal. 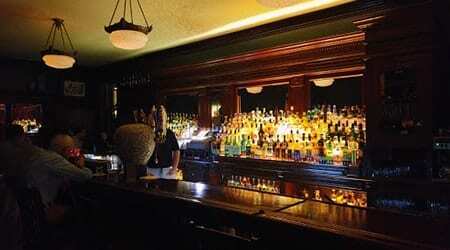 They also boast a martini list with 250 selections. Max London’s has a modern and eclectic bar scene that uses only housemade syrups and fresh squeezed juices in their creative cocktail list. They don’t call us the Spa City without good reason. Our city’s slogan is “Health, History, Horses” and to support our visitor’s good health, we have a variety of spas to suite every taste. Pamper yourself! Complexions offers a wide range of services and treatments. The experience includes the use of the relaxation lounge, outdoor garden terrace, organic tea bar and spa amenities. Established in 1935, the spa opened thanks to President Franklin Roosevelt’s visionary act to preserve the Saratoga Springs. 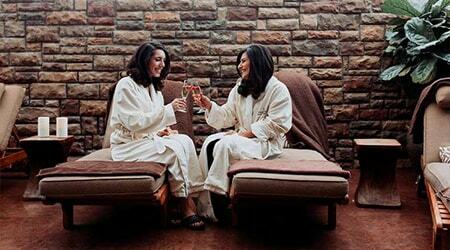 Enjoy a signature mineral bath in Saratoga’s naturally effervescent waters. 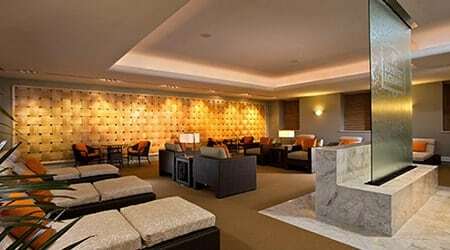 A spa oasis in the center of downtown, Spa Cascada has a calm and tranquil atmosphere. Offering comprehensive spa packages and a small boutique. This organic, eco-conscious spa uses only products that they make in house in small batches. 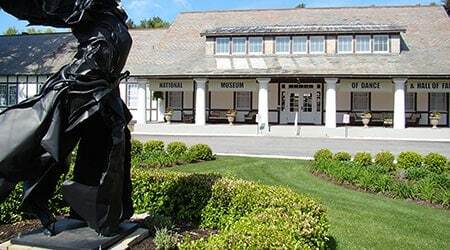 The Saratoga region is home to four nationally acclaimed museums and several others with more local interests. Whether you enjoy art, history, dance or cars, you’ll find a museum to peak your curiosity. 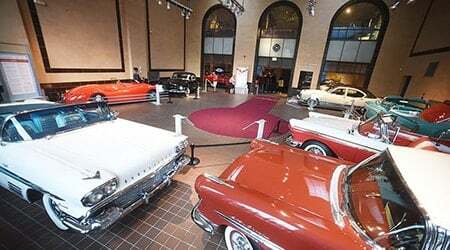 The museum is housed in the restored and renovated Saratoga Bottling Plant, built in 1934, and serves as a celebration of the automobile and it’s past, present and future impact on New York’s social and economic landscape. 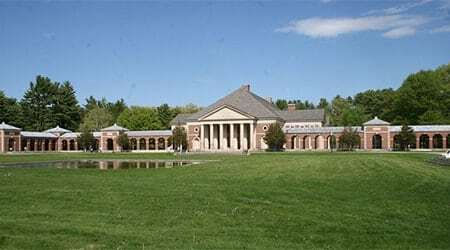 Located in the historic Washington Bathhouse in the Saratoga Spa State Park, the museum honors dance pioneers of all types including choreographers, composers, writers, dancers and patrons. This historic house and museum complex has a distinguished art collection housed in five separate galleries. Featuring Old Masters, 19th-century European and American art and modern/contemporary art. 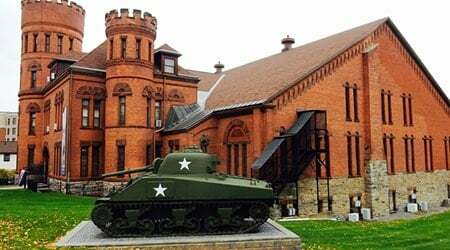 Housed in an 1889 armory, this museum houses over 10,000 artifacts from the Revolutionary War to Desert Storm. A diverse collection of art, artifacts, and memorabilia that seeks to document the social, economic, political and cultural history of thoroughbred racing in America from the 18th century to the present. 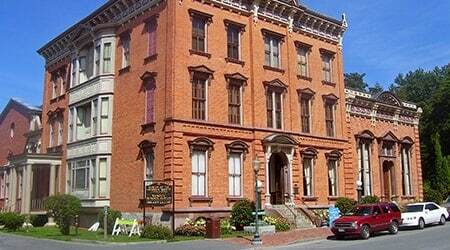 A collection of antiques and artifacts that chronicle the history of Saratoga Springs. The museum is located in the Canfield Casino, a National Historic Landmark. The Tang’s goal is to awaken the community to the richness and diversity of the human experience through the medium of art. 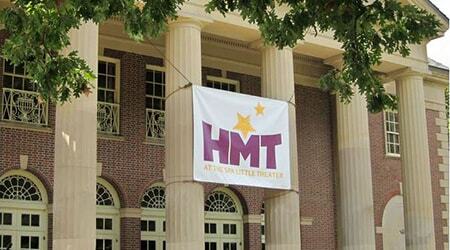 Saratoga Springs has a rich history in the performing arts. We’re the summer home of both the New York City Ballet and the Philadelphia Orchestra. We have venues that feature everything from rock concerts to world premiere plays and intimate chamber music. 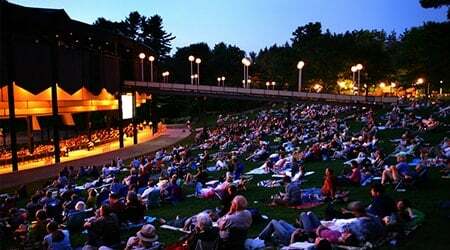 Saratoga Performing Arts Center (SPAC),an open-air amphitheater located inside the beautiful Saratoga State Park presents performances of classical music, jazz, pop and rock, country, comedy, dance, and opera. They also partner with Live Nation to bring in offerings of popular music and rock concerts. 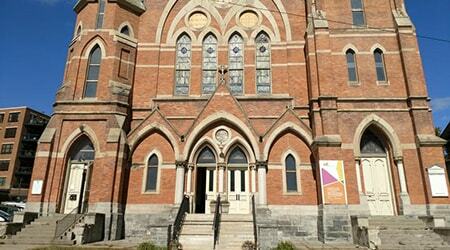 Universal Preservation Hall (UPH) is an arts and community events venue. 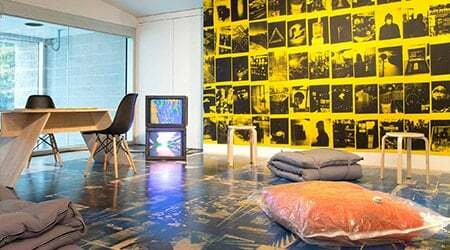 Housed in a former high victorian gothic architecture church built in 1871 It is currently being repaired, restored and refitted as a performance hall and a rental venue. 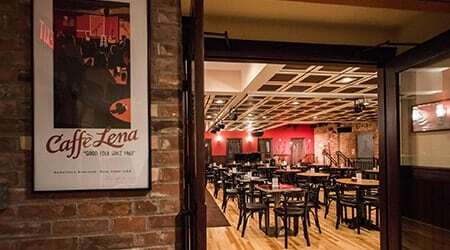 Caffè Lena on Phila Street is the oldest continuous coffee house in America. 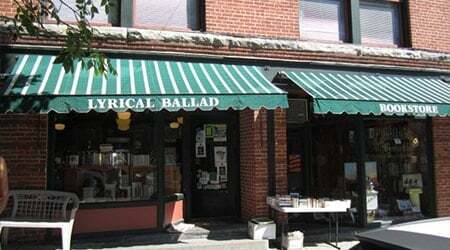 It was opened in 1960 by Lena and Bob Spencer as a venue to showcase and foster folk music. Music legends the likes of Bob Dylan and Don McClean have performed more than once at this unique venue. It remains vibrant to this day. Opera Saratoga had its beginnings in the Lake George area in the early 1960’s. As audiences grew, they eventually found their way to The Spa Little Theater in the Saratoga State Park. The intimate nature of that venue was ideal for their performances and the name was changed to Opera Saratoga. Initially, the operas were performed in English to attract a younger audience. The Opera rotates three operas throughout the summer season, now, often in the original language. Homemade Theater is a volunteer theater group bringing opportunities in all aspects of theater production to our community. They produce four shows each season from October to May. It is housed to the Spa Little Theater nestled in the Saratoga State Park. Homemade Theater also works with area restaurants for entertaining dinner theater options. 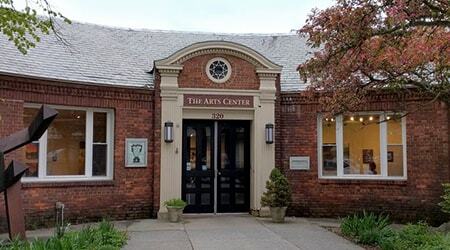 Saratoga Arts Center is located at 320 Broadway. Our area has a vibrant and active arts community and the Arts Center is committed to making it available to all. They foster art education programs and professional development. They support local galleries and artists. They sponsor the extremely popular First Night program annually bringing thousands to town to ring in the New Year. 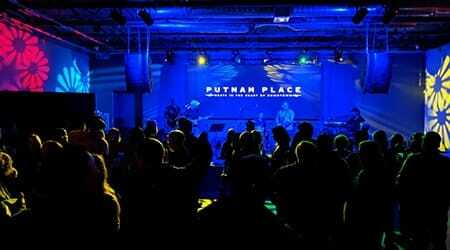 Putnam Place features live music with local, regional and national acts and DJ’s . Putnam Place also is a premiere dance club. There is a raised stage, a state of the art light and sound system with the regions largest video wall. There is plenty to see and explore outdoors in all of Saratoga’s seasons! We have an extensive trail system for hiking and biking, a gorgeous lake for swimming and boating and close proximity to many ski and snowboard mountains. This National Historic Landmark houses 13 mineral springs. It was made into a state reservation in 1909 to prohibit the pumping of the mineral waters. The bath houses, drink hall and other ancillary structures were built in the 1930s. The state park has the only active spouting geysers east of the Mississippi River. Get away and get outside! Join us at Saratoga Arms this season and explore the great outdoors on one of our favorite nearby hiking trails. From easy to difficult, there is something for every activity level and preference. 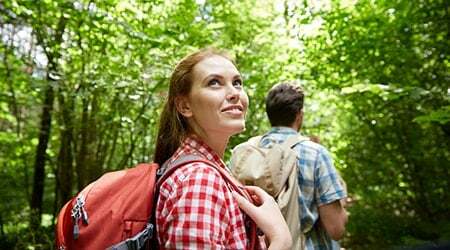 For a complete guide to hiking in the Saratoga Springs area, refer to our in-house hiking guide. 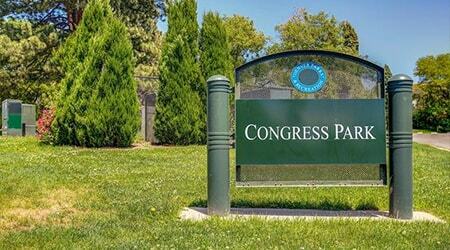 This 32-acre park is right in the center of our small city. 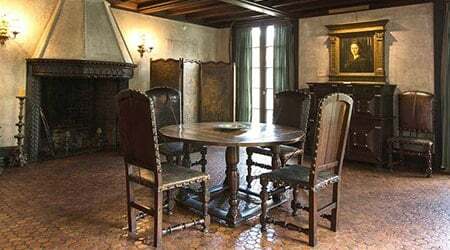 It’s home to three mineral springs, the Saratoga Springs History Museum inside the historic Canfield Casino, Italian gardens with spouting fountains and a working reproduction Victorian carousel. AC&C operates on nearby Saratoga Lake. 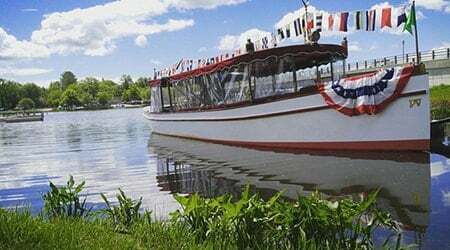 They have two boats in their fleet – a 22’ pontoon boat and our favorite, a 50’ replica of a 1900 fantail launch, the General Schuyler. Be sure to catch one of their sunset cruises. 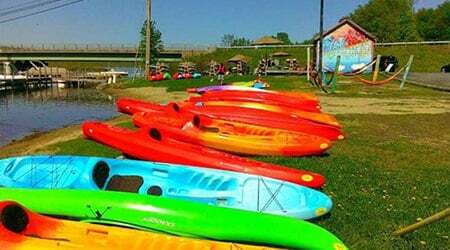 Kayak Shak located on Fish Creek, just off Saratoga Lake, the Kayak Shak offers kayaks and SUP rentals. They also hold popular SUP yoga classes and have multiple hammocks scattered around the property for rest and relaxation. 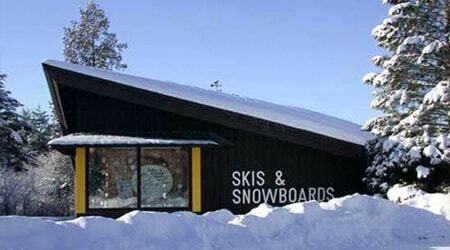 Leave your gear at home and rent downhill or cross-country skis or snowshoes from this winter sport shop. There are two modest downhill mountains less than 25 miles from Saratoga Springs. If you want to venture a bit further, Gore Mountain is just under 60 miles away. Take your cross-country skis or snowshoes into the state park and following any of the well-marked hiking paths. 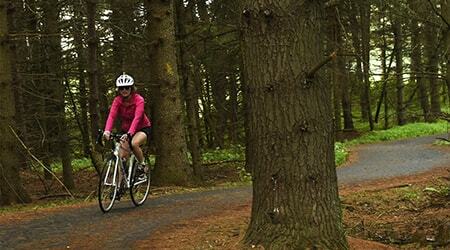 There are many varied biking trails and routes in and around Saratoga Springs. Our favorites include the Zim Smith Trail, starting in our neighboring town, Ballston Spa. This 9-mile trail is a local favorite. Another excellent option is the ride to and through the Saratoga Battlefield Park. Including the ride out and back, this 27 mile ride features amazing views of neighboring Washington County, the inside of the Saratoga National Historical Park and on the return, picturesque Saratoga Lake. 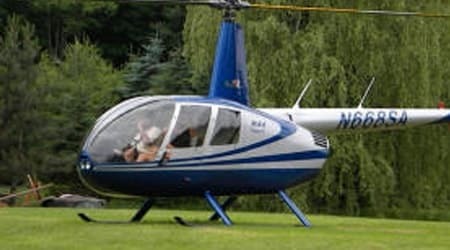 Offering private scenic tours over Lake George and the Adirondack and Green Mountains. The bubble windshield on the helicopter offers sweeping views. Flying April through October, enjoy unobstructed 360 degree views of the Adirondack in either private or small-group flights. 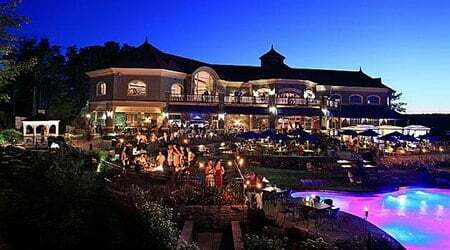 Saratoga Springs is known for its summer thoroughbred racing season, where the top horses race at the the most historic race course in the United States. 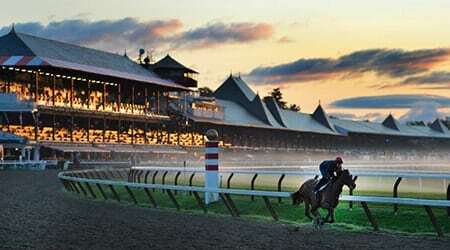 It is no wonder that Sports Illustrated named the Saratoga Race Course on of the top 50 sporting venues in the world. There is nothing like it! But Saratoga also a year round horse town. From harness racing, competitive Hunter and Jumper Horse Shows, to polo and personal riding stables, Saratoga Springs has something for every type of horse enthusiast. Opened in 1863, the Saratoga Race Course has come to be known as the Graveyard of Champions. Many a Triple Crown winner has lost at Saratoga. The original racing meet lasted only 4 days but the current race meet is 40 days, with no racing on Tuesday. 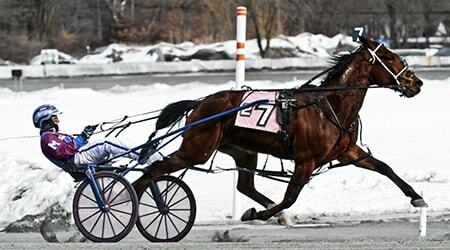 Housed beside the Saratoga Casino, the harness racetrack races from March – December. 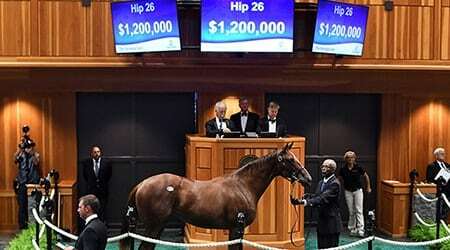 North America’s oldest thoroughbred auction company hosts three sales a year in Saratoga Springs at a grand pavilion on East Avenue. Saratoga’s yearling sales is one of the premier horse sales in the world. 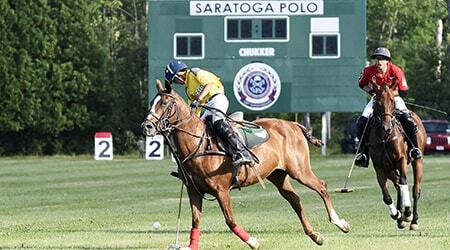 Established in 1898, the polo season runs from early July through Labor Day. Patrons are invited to stomp the divots during half time and witness the Subre a Champagne, the ceremonial opening of a bottle of Veuve Cliquot with a sword, just before the trophy presentation. 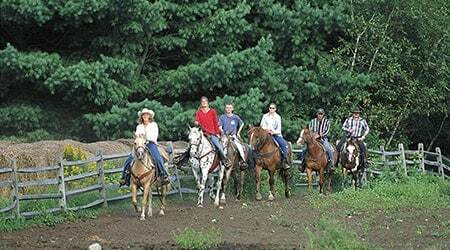 Offering guided trail rides through the Adirondacks, this horseback riding facility offers a variety of Western trail style rides for riders of all skill levels. This annual equestrian hunter/jumper show attracts competitors from all over North America. It’s held at the Skidmore Thoroughbred’s equestrian complex. 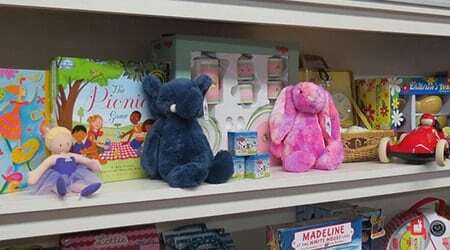 Saratoga Springs has no shortage of unique shops to find clothing, books, gifts, toys, food items and more! Many of our favorite shops are right on Broadway, just steps from our downtown hotel. A family-owned, independent bookstore with an extensive children’s collection, a full calendar of author events and community reading groups. Be sure to check out the staff book selections and unique gifts! Saratoga’s underground secret features eight rooms and over 100,000 volumes. This book store is housed in a former bank with a bank vault doors unveiling each additional room. 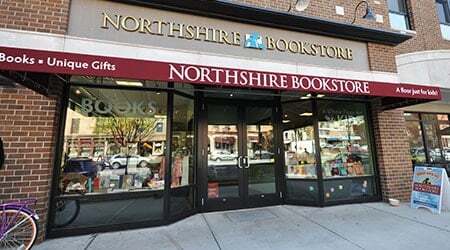 This store is a must for book lovers and historic adventure seekers. 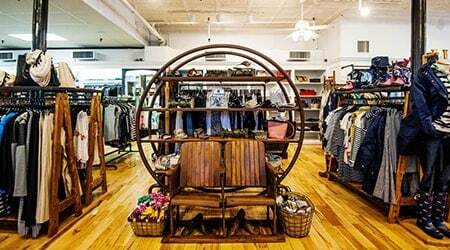 This pair of clothing boutiques are Saratoga icons known for their collections of timeless apparel with a fresh, urban sensibility. They’re neighbors on Broadway, on either side of Caroline Street. Saratoga Arms favorite tip: They have trained stylists who will pick out the perfect outfit for you. 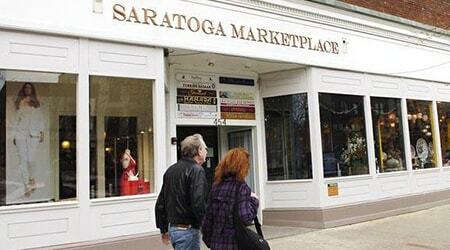 Just across the street from our hotel, Saratoga Saddlery is an equestrian lifestyle boutique. They now carry countless fashion and gift lines from around the world, offering European fashion clothing for men and women. They are known for their unique Italian leather and fur coats, and are the largest dealer of Western boots in the Northeast. 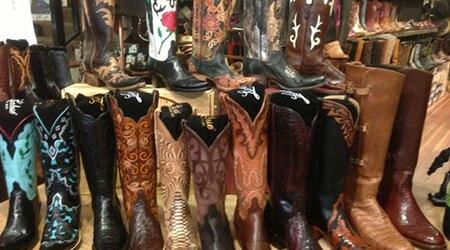 Saratoga Arms favorite tip: They carry equestrian boots for children as well as adults. This elegant woman’s clothing boutique sells dresses of all styles and for all occasions with accessories and hats to match. With an impressive line of high-end designers, there is plenty to choose from at Saratoga Trunk. 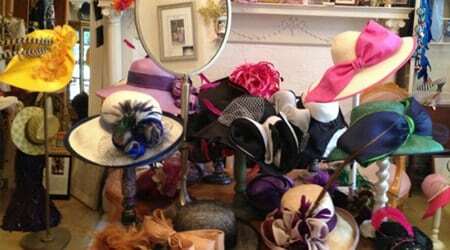 Saratoga Arms favorite tip: Natalie will find that perfect hat for you. Tell her we sent you! 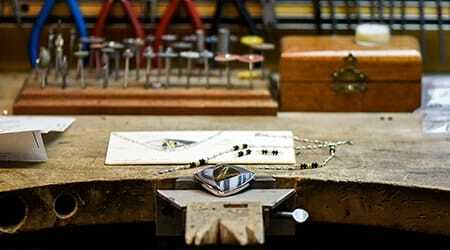 In business since 1982, this gallery and working studio features stunning custom jewelry. 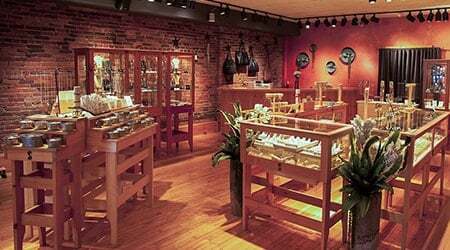 Designed by a father and son team of jewelers, 90% of the inventory in the store is made on premises. Specializing in handmade original works, this gallery features the work of over 40 artists. Located across the street from Saratoga Arms, Saratoga Olive Oil’s goal is to provide the freshest and healthiest olive oil in the world. 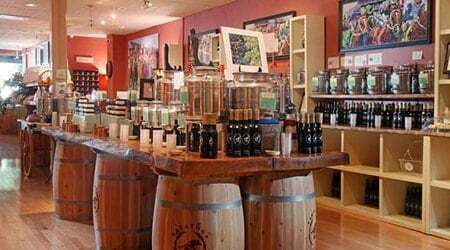 They have over 60 flavors of olive oil, balsamic vinegar, and exotic sea salts to sample before buying your favorites. 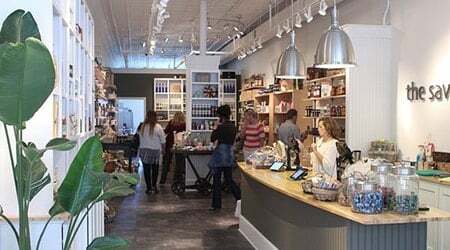 A gourmet grocery store featuring hand-selected, small batch specialty foods. 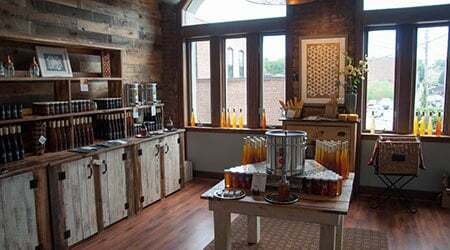 This retail shop has a tea and honey tasting bar and an impressive line of organic and fine tea and herbal infusions, tea accessories, local raw honey and pottery. Saratoga Arms favorite tip: The honey tasting room is incredible. 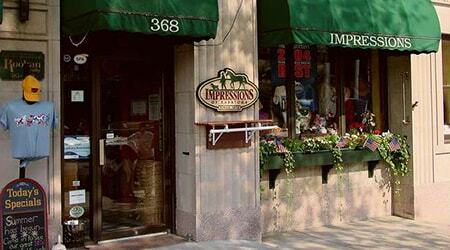 Impressions boasts the largest collection of Saratoga themed sportswear, memorabilia, and souvenirs. They have a vast array of locally made food products, gifts, jewelry, and a large collection of horse themed items. Dark Horse pays homage to Saratoga Racecourse’s reputation and tradition of Triple Crown winners and legendary thoroughbreds losing to underdogs, which earned it the nickname “Graveyard of Champions”. This brand celebrates the horse racing experience with a subtle, unique logo. This shop sells a variety of apparel, home goods and drinkware. These items make wonderful gifts for the Saratoga and horse racing enthusiast on your list. Unique gifts and home items with a wonderful greeting card selection. 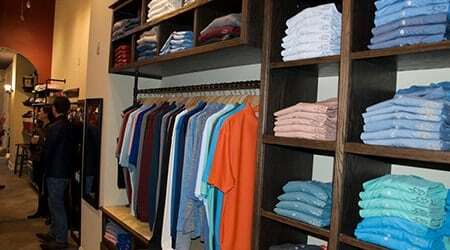 This store is tucked into the Saratoga Marketplace, a small indoor shopping center with 14 individual shops. 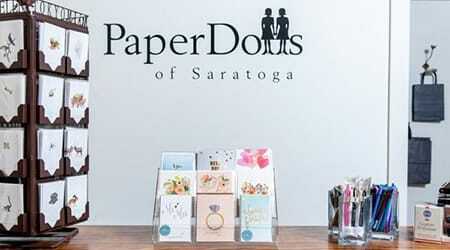 PaperDolls of Saratoga Fine stationary and unique gifts. 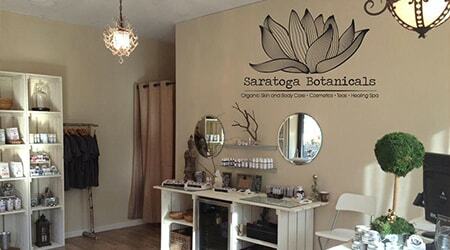 PaperDolls is home to the TOGA HERITAGE pop-up shop, a lifestyle company that celebrates Saratoga Springs. 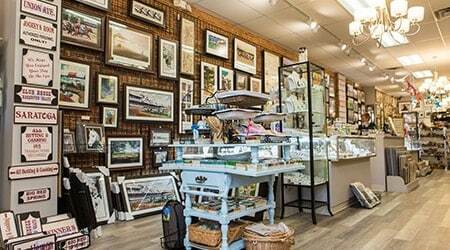 A downtown staple for 25 years, Crafters Gallery offers jewelry and artwork crafted by local artisans, as well as a wide array of gifts and home furnishings. They also specialize in high-quality framing of art, as well as collectibles, bouquets, and more. Filled with a range of items for every taste and budget, it’s a local favorite. 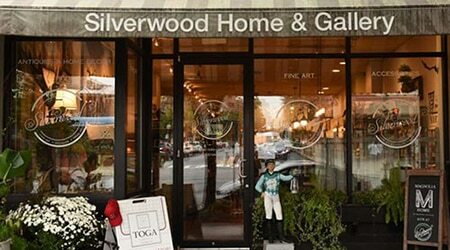 Home décor, furnishings and accessories with classic Americana sensibility and a touch of equestrian chic. A classic toy and games store with nostalgic charm. Their “Elves”, as they call their employees, pride themselves in having in-depth knowledge of all their offerings and providing personalized attention to help customers find just the right toy or gift. Saratoga Arms favorite tip: This is a Grandmother’s paradise! And they gift wrap for free. 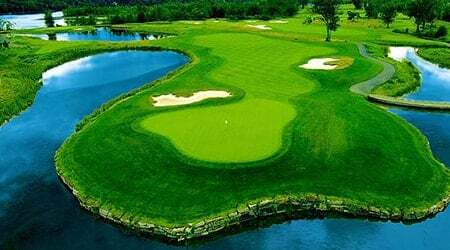 Saratoga Springs is home to many award-winning golf courses that are suited for beginners and experts alike. 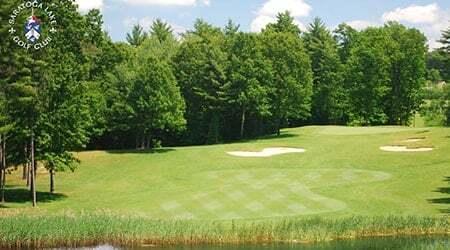 Saratoga National located just 5 miles from downtown Saratoga Springs offers 18 holes of award-winning championship golf. The grounds with breathtaking views, were designed by Roger Rulewich, and are meticulously maintained inviting all levels of golfers. Saratoga Spa Golf Course is part of the NY State Parks Department. Rated 4 stars by Golf Digest’s best places to play. 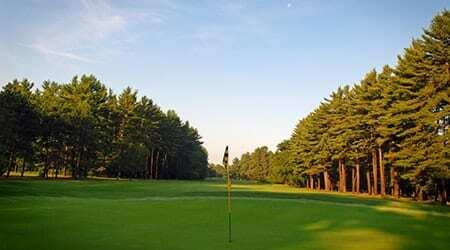 It is a 27-hole championship course nestled in the beauty of the Saratoga State Park. There is also a par 3 9-hole course nearby plus a grass driving range. McGregor Links Country Club is a semi-private club located just minutes north of downtown. It features 3 sets of tees for different levels of skill yet challenges even the most experienced duffer. Open to the public every day but Tuesday and Thursday. Hiland Park Country Club in Queensbury just 25 minutes north of Saratoga Springs. 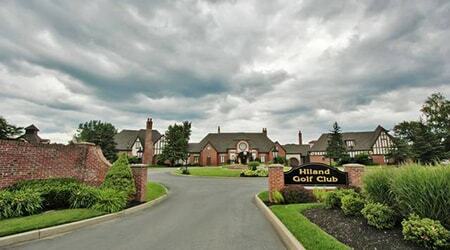 Hiland Park offers one of the most challenging golf courses in the area plus an award-winning clubhouse. Located in the foothills of the Adirondacks and the views are spectacular. 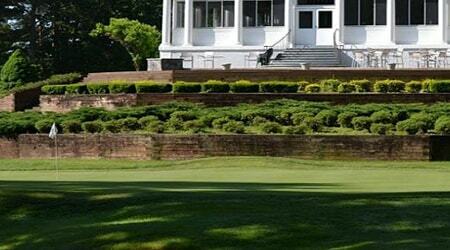 Saratoga Lake Golf Club is just 10 minutes from downtown overlooking Saratoga Lake. It features a Par 72 course, a driving range and a practice course. Have we peaked your interest in Saratoga Springs? Saratoga Springs is full of wonderful things to do. When you plan your Saratoga Arms getaway, we’ll help you craft your perfect itinerary. We hope you got a taste of the many ways to enjoy a visit to Saratoga Springs. We hope you’ll join us for a vacation and experience the many things to do our small city offers! Here’s to health, history and horses! We’ll see you at Saratoga Arms.